Sylvia Williams is the seventh Democrat to enter the race in the 3rd District of Kansas. The winner will take on incumbent Rep. Kevin Yoder. Update March 7 at 4:30 p.m.: Chris Haulmark has dropped out of this race and is now running against state Rep. Erin Davis, according to a Tweet. There is yet another Democrat in the race for Rep. Kevin Yoder’s seat in the 3rd Congressional District of Kansas. Sylvia Williams from Leawood is the seventh Democrat and second woman in the race. Like the other six candidates, Williams has never held public office. Williams says she does not want to arm teachers and she would support an assault weapons ban. She also says she supports women’s issues and embraces diversity. Also in the race is Sharice Davids, an economic development consultant, Tom Niermann, a teacher, Chris Haulmark, an IT executive, Brent Welder, a labor lawyer, Jay Sidie a businessman who ran against Yoder in 2016 and Mike McCamon who also has a technology background. Correction: Candidate Mike McCamon's name was inadvertently left off the list. If you want to know how much interest there is in the race for Rep. Kevin Yoder's congressional seat, you got a pretty good idea at a candidate forum Sunday afternoon. 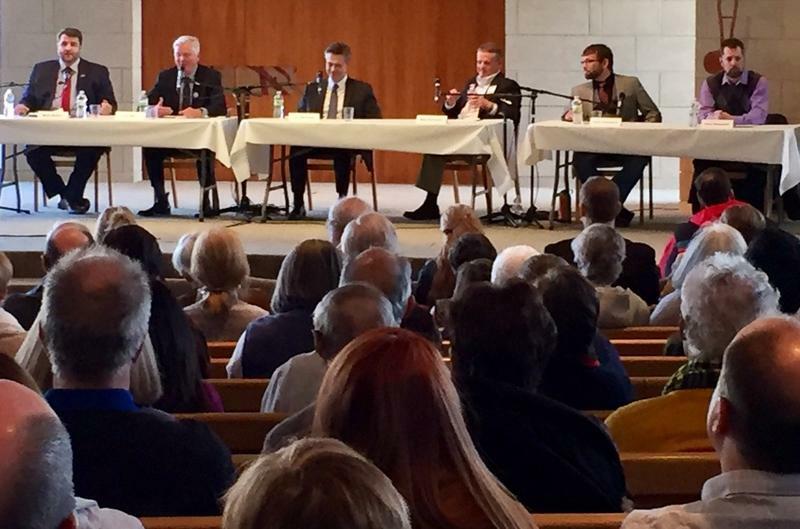 Some 500 people packed the sanctuary at Congregation Beth Torah in Overland Park to hear the five Democrats and one Libertarian running for Yoder's seat. Yoder, a Republican, was invited but didn't attend. 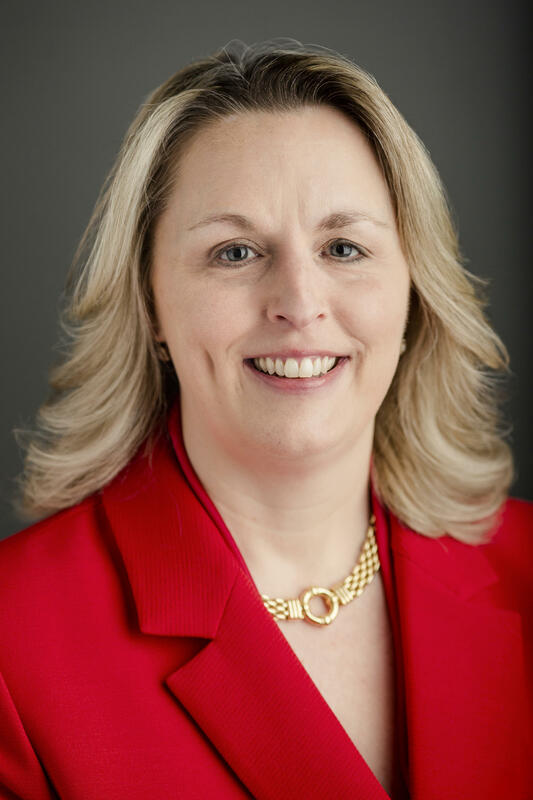 Retired lawyer and former community health nonprofit executive Andrea Ramsey announced Friday that she is dropping out of the race for Kansas' 3rd Congressional District. Ramsey is one of several Democrats challenging incumbent Republican Rep. Kevin Yoder. Kansas Congressman Kevin Yoder is offering a vigorous defense of the Republican tax cut bill as the U.S. Senate prepares to vote on its version of the controversial measure. In a lengthy news release posted Thursday that Yoder touted as separating myth from fact, the 3rd District representative said the bill does not favor wealthy taxpayers over middle-class families, as Democrats and other critics claim. 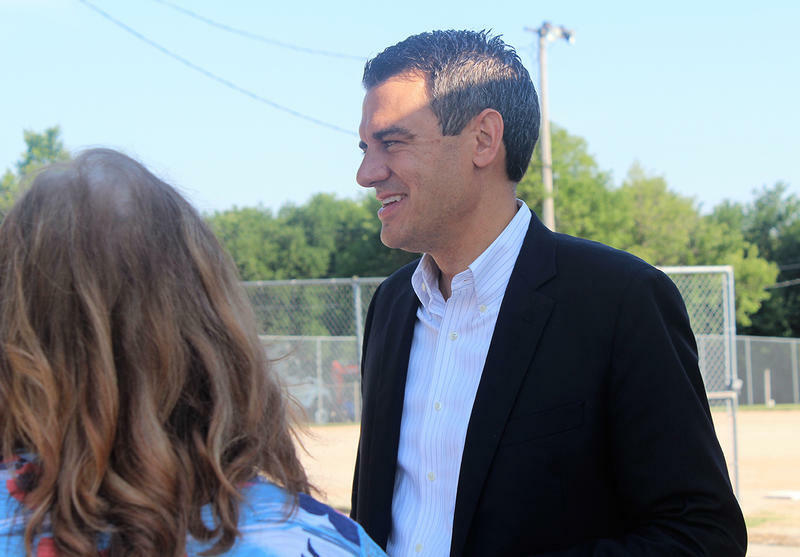 Six Democrats are now in the race to try to unseat Rep. Kevin Yoder, the Republican who has represented the Kansas' 3rd District since 2011. Sharice Davids from Shawnee jumped in the race Thursday. 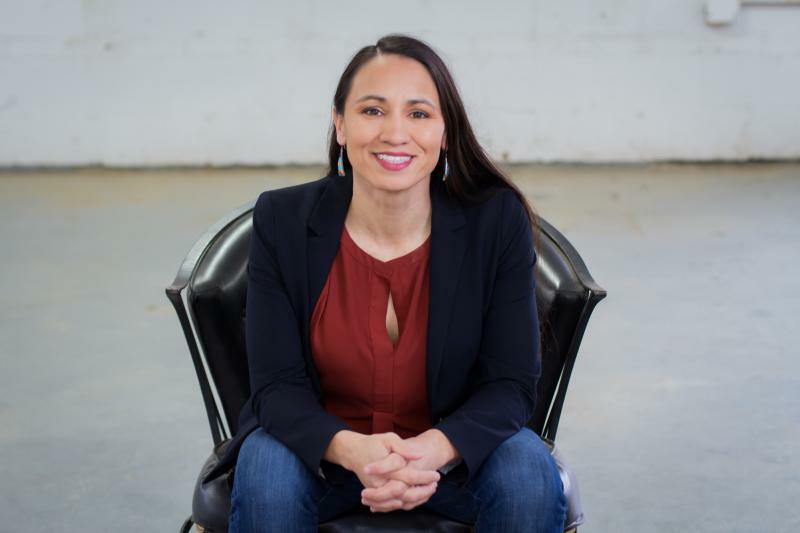 "When elected, Davids will be Kansas’ first openly-gay Representative and the nation’s first female Native American member of Congress," Davids said in a statement announcing her run.